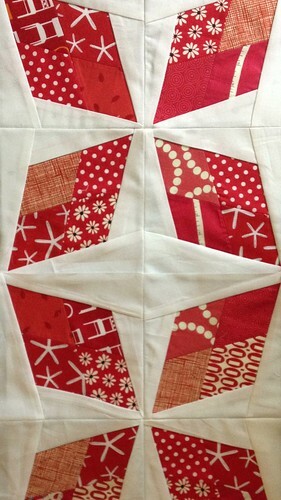 Last night I headed upstairs to sew my Arkansas Traveler blocks for do. Good Stitches. I didn't really want to sew them, I had a million other things to do, but November is coming to an end and I didn't want them to be late. I actually had the thought that maybe I should take a break from DGS for a little while. I clicked over to Jenny's blog post and read all about it. Talk about getting just what I needed to see. This quilt is headed to a Women's Shelter in Rochester, NY. If it is this cold in NC today, I can't imagine how cold it is in Rochester. I love that some woman, in a desperate situation, is going to wrap herself in this quilt and know that someone really cares. In a place where the norm is most certainly getting cast off items, there will be this item of exquisite beauty, not worn out and no longer wanted, but made just for her. And not just this quilt, but all the quilts made in the circles of do. Good Stitches, or the quilt drives many of us participate in when natural disasters strike, or on a regular basis for those in the hospital. 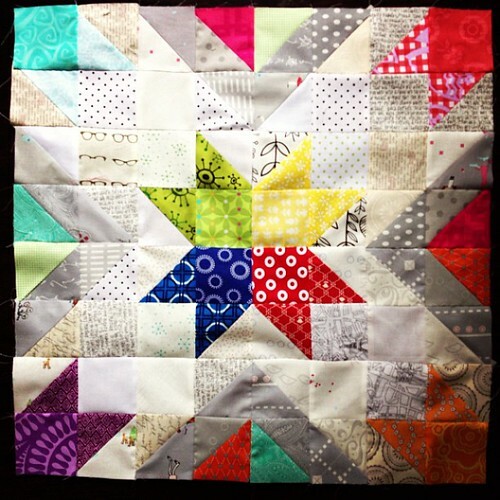 Quilters are generous people, we literally wrap the world in love and kindness. Take a break from do. Good Stitches? No, thank you. I'll keep sewing away and spreading the love! Happy Thanksgiving to you and yours! To paraphrase my yoga teacher, being thankful is the easiest way to make a positive change because you always have something to be thankful for, even if it is merely the air you breathe. Thank-you, thank-you, thank-you for sharing so honestly your thoughts about being in the bee. It's true that we all have times when making bee blocks feels more of a "road block" to what we want to be doing. But, as you said, looking at the big picture shows it's all worth it. Thanks for being an important part of this movement, Courtney! The quilt just finished is truly amazing. Whoever comes up with blocks like these has got an awesome eye for pattern. SO glad I somehow motivated you to keep up the excellent work! I hope that all our time and efforts are not in vain and will touch someone in ways we will never know. Sometimes it is hard to do the right thing. Great post to remind us why to push through. 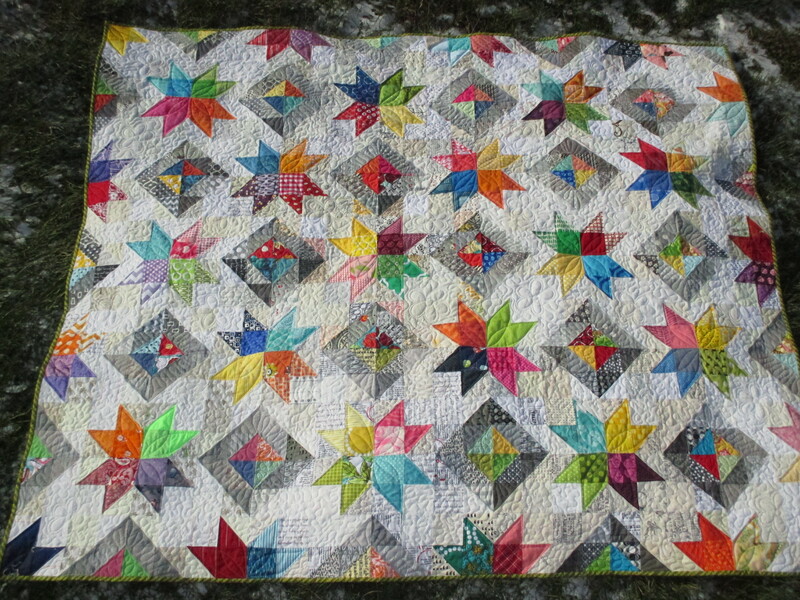 It's a beautiful quilt, and thanks to you I am now following Jenny's blog as well. I think giving is good for the soul, especially giving to those you don't know who are worse off than myself.